The story of the Pilgrims began in the early part of the seventeenth century. The Church of England under King James I was persecuting anyone who did not recognize its absolute authority. Those who demanded freedom of worship were hunted down, imprisoned, and sometimes executed for their beliefs. A small group of separatists fled to Holland, where they established an outpost. A decade later, about forty of the separatists decided to embark on a perilous journey to the New World, where they could live and worship God according to the dictates of their own consciences. On August 1, 1620, the Mayflower set sail carrying a total of 102 passengers, including forty Pilgrims led by William Bradford. On the journey, Bradford set up a contract that established laws that would govern the new settlement. The values and principles set forth in the Mayflower Compact were derived from the Bible. Because of an unshakable belief in Divine Providence, the Pilgrims never doubted that their bold experiment would succeed. But their journey to the New World was long and arduous. When they landed in America, they found, according to Bradford's detailed journal, a cold and desolate wilderness. There were no friends to greet them, he wrote, or houses to shelter them. There were no inns where they could find temporary lodging, and no trading posts where they could buy food and other necessities. The numerous hardships they would encounter in the name of religious freedom were just beginning. During the first winter, half of the Pilgrims – including Bradford's wife – perished from starvation, sickness or exposure. When spring came, Indians taught the settlers how to plant corn, fish for cod and skin beavers for coats. Life improved on the margins, but the colony was still a long way from assured survival. The original contract that the Pilgrims entered into with their merchant sponsors in London called for everything they produced to go into a common store, with each member of the settlement entitled to one common share. All land they cleared and houses they built belonged to the community. The plan was to distribute everything equally. No colony member owned anything beyond a proportionate share of the common output. Under this communal living arrangement, the colony’s most industrious members lacked incentive to produce as much as they could. Soon, it became obvious that the collectivist system was not yielding enough food. Faced with mass starvation, Bradford decided on bold action, and assigned each family its own plot of land. With private property rights and personal incentive in play, food production began to soar. 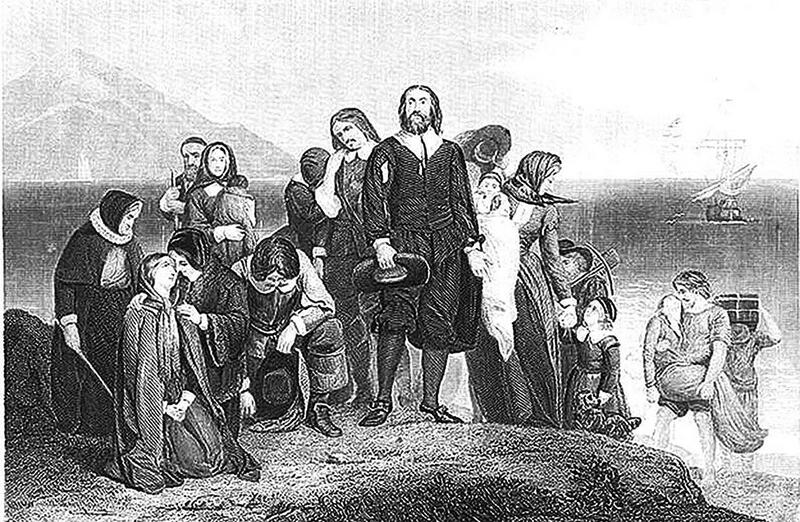 The Pilgrims scrapped the collectivist system that almost led to their demise. Under the new arrangement, every family was permitted to sell its excess crops and other products. 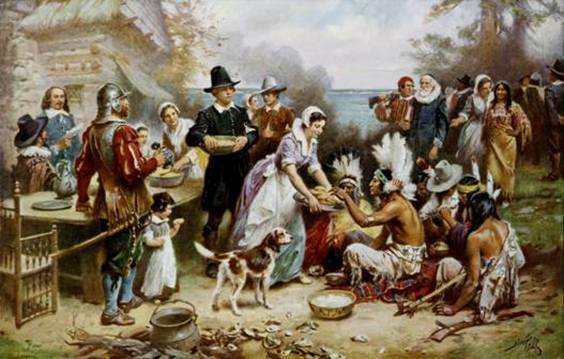 With an abundance of food at hand, the Pilgrims set up trading posts and began to exchange goods with the Indians. The profits they earned enabled them to pay off their debts to their sponsors. News of the settlement’s prosperity attracted other Europeans, and precipitated what came to be known as the Great Puritan Migration. Many of America’s schools incorrectly teach that the first Thanksgiving was an occasion where grateful Pilgrims thanked the Indians for saving them from starvation. But the true story of Thanksgiving is that of William Bradford giving thanks not to the Indians, but to God, for the guidance and inspiration to establish a thriving colony, one that enabled the Pilgrims to generously share their plentiful bounty with their Indian neighbors at that first Thanksgiving. Omitted in many classrooms is the historical fact that it was not Indians who saved the Pilgrims. Rather, it was free enterprise capitalism and Scripture, the latter of which was acknowledged by George Washington in his Thanksgiving Proclamation issued on the 3rd day of October, 1789. 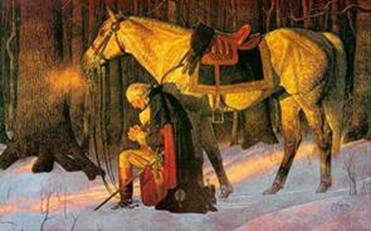 America was founded on an unshakable belief in Divine Providence. This editorial has appeared annually since 1961. It appeared in the November 22, 2017, print edition. With another Thanksgiving holiday upon us, it's good to consider what the Pilgrims endured and how they thanked God through it all. I just finished reading a phenomenal book on the group of dissident Christians who founded the Plymouth Colony in 1620. Historian Rod Gragg wrote "The Pilgrim Chronicles: An Eyewitness history of the Pilgrims and the Founding of Plymouth Colony" (Regnery History, 2014). I thought I knew a lot about the Pilgrims, but this book added greatly to my knowledge. The Pilgrims were one congregation that was born in mid-England around 1606 at a time where church meetings, apart from the Church of England, were illegal. Their goal was to worship Jesus in the purity of the Gospel as they understood it. The Bible (Geneva version) was the focus of their existence. Because of persecution in England, they decided to emigrate to Holland; but even leaving the mother country was problematic. A sea captain betrayed them, and several of their men ended up in an English jail. About 1609, they were able to finally make it to Holland. Initially, the Netherlands was a good place for them. At least they could worship without government interference. But over time, they saw that some of their children were following the ways of the worldly Dutch youth. Meanwhile, the permanency of the Jamestown settlement in the New World allowed them to explore the possibility of coming to America to stay intact as a congregation and be able to worship Jesus in peace. 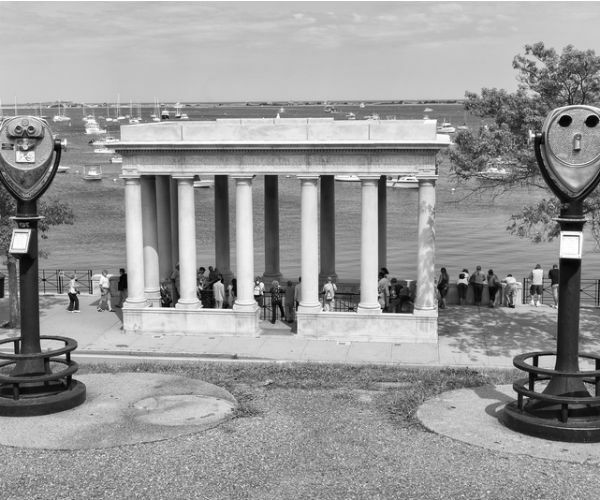 They borrowed money, and they received permission from King James, who was glad to be rid of them, to sail to the "northern parts of Virginia," which at that time that would have been about where New York Harbor is today. The voyage of the Mayflower was treacherous. One storm was so fierce they almost ended up on the bottom of the Atlantic ocean. When they finally came to the New World, they were 250 miles north of their target and unable to safely sail south. They made history by writing up a Christian agreement for self-government that they signed before disembarking. This "Mayflower Compact" was the first step in the eventual creation of the Declaration of Independence and the Constitution 150 years later. Then came the hostile winter of 1620-1621, where illness, cold, and starvation killed about half of them. They slept mostly onboard the Mayflower, having little opportunity to build houses in the howling winter. Of the 18 women on board the Mayflower, only four survived that winter. Half of the married men died. There were 29 unmarried men — of these, 10 died, 19 survived. The children had the best survival rate. All seven girls lived. Of the 13 boys, three died, and 10 lived. Yet through it all, they trusted God, giving him thanks. The spring came early in 1621, and the deaths stopped. Two friendly Indians, able to speak English, came and greeted them. They aided them in making peace with the Indians, and learn how to plant corn and capture eels for survival food. The Pilgrims enjoyed a great relationship with the Native Americans — including making a peace treaty, one lasting for apprximately 55 years. It was brokered by Chief Massasoit. At harvest time in 1621, the Pilgrims gave thanks to God and enjoyed a three-day feast with the Indians. This was the beginning of our Thanksgiving celebration in America. Gragg quotes John Pory, a scholar from England who had served in the colony of Virginia, who was on his way back to England. Having visited Plymouth in 1622, Pory wrote, "the reasons of their continual plenty for those 7 months in the year may be the continual tranquility of the place, being guarded on all sides from the fury of the storms, as also the abundance of food they find at low water. . . . Now as concerning the quality of the people, how happy were it for our people [in Virginia], if they were as free from wickedness and vice as these are in this place. . . . As touching their correspondence with the Indians, they are friends with all their neighbors." Rod Gragg (at page 288) concludes on the Pilgrims’ settlement, "And they had succeeded. No one in Ameratica would be raiding their Sunday services to stop their worship. Neither would they be hauled off to jail because of their beliefs, nor ever again forced to flee their homes because of their faith. And the way of freedom they had blazed in the wilds of the New World would eventually become the path of liberty for countless people from around the world: people yearning for a new life, a new start, a new home — and who would find it as Americans." Jerry Newcombe is co-host/senior TV producer of Kennedy Classics. He has written/co-written 25 books, including "The Book That Made America, Doubting Thomas" (with Mark Beliles), "What If Jesus Had Never Been Born?" (With D. James Kennedy), and "George Washington's Sacred Fire" (with Peter Lillback). 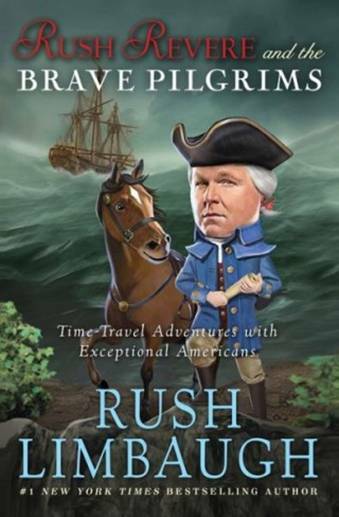 Rush Limbaugh is author of a series of best-selling books for children that correct revisionist history taught in public school classrooms by progressive teachers. The cover of the first book in the series is shown below. #1 best-seller in all categories, according to Nielsen BookScan. Great Christmas gift for children. Buy at Walmart.com for $12.44. Buy 3-book hardcover series here.